Below we have ALL of the homes for sale in Hingham, MA listed by ALL of the real estate brokers in the Greater Boston area. If you would like more information on any of these Hingham homes for sale, just click the "Request More Information" button when viewing the details of that property. We can provide you with disclosures, past sales history, dates and prices of homes recently sold nearby, and more. Derby Academy/St Paul School/Walk To Town! Hingham is one of the most popular areas in the greater Boston real estate market. 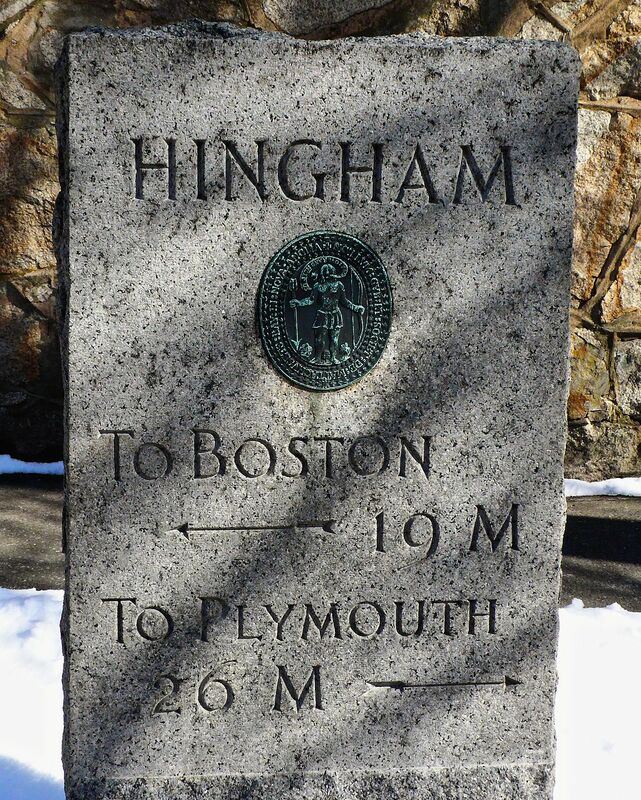 The appeal of Hingham is found in the old world charm. The antique Colonial estates are found throughout the tree-lined streets of the town. It's full of historic homes and buildings, along with many very large homes. Some of the homes provides incredible views of the water and can sell for millions of dollars. The Main Street found in Hingham is known as one of the most beautiful in the entire country. This is partly due to the beautiful homes found along this street. These are not the only homes found in Hingham, however. Real estate throughout the town ranges from smaller two-bedroom homes to estates with five or more bedrooms. Home prices in Hingham start around $400,000 for a single family property and can go up to more than $7 million. Many of the homes for sale in Hingham MA range between $750,000 and $3 million. Townhomes at Damon Farm - A beautiful development with 32 townnhomes. The Townhomes at Damon Farm provide a mixture of single family, two-family and three-family structures. The units range from 1,800 to 3,300 square feet. The Moorings - Found at Hingham Shipyard, The Moorings are luxury condos providing beautiful features and amenities with plenty of great views. Backriver Townhomes - Found near the Bare Cove Park, the Backriver Townhomes provide a beautiful community with riverfront access and plenty of privacy. Hewitts Landing - Another community found at Hingham Shipyard, Hewetts Landing provides a prime location with incredible views and easy access to the best that Hingham has to offer. Residences at Black Rock - A total of 138 residences are found here with plenty of luxurious options and amenities. It is a 380 acre development and features incredible scenery and the Black Rock Country Club. If you haven't already, be sure to register for a free account so that you can receive email alerts whenever new Hingham homes for sale come on the market t that fit your search criteria. With Boston real estate being some of the most expensive homes in the country, many people choose to live in Hingham and commute to Boston daily. The average commuter spends about 35 minutes on the road when commuting to work. Some commutes are shorter, especially earlier in the day. However, Route 228 may be a bit of a headache once school children are on their way to class. One of the benefits of living in Hingham and commuting to Boston is the Hingham ferry. Many commuters catch the ferry to avoid traffic. It also allows you to relax, read a book and enjoy your commute instead of going crazy over the traffic. Ready To Buy a Home in Hingham?